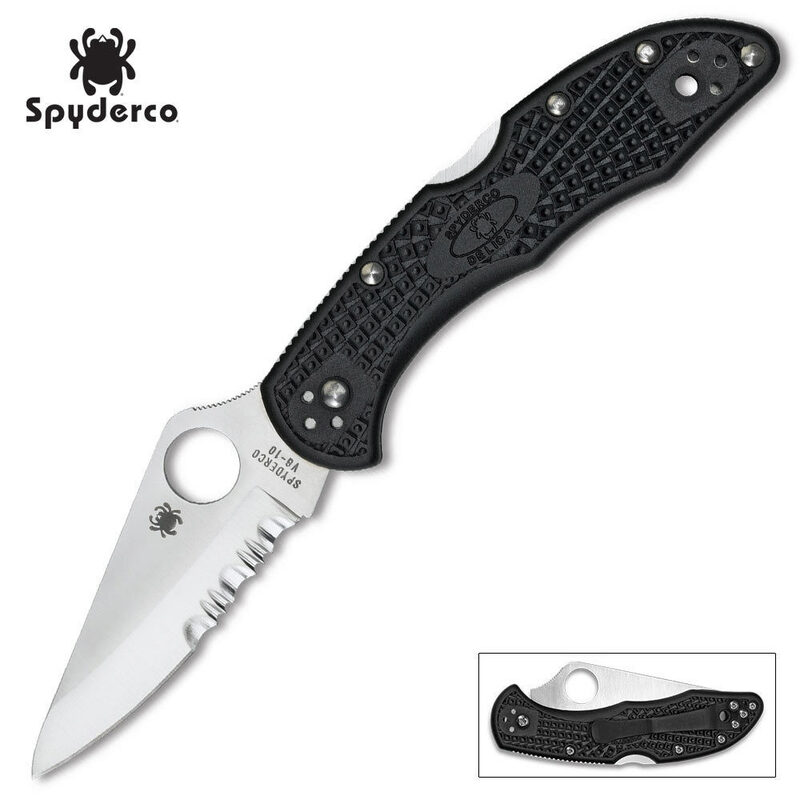 Spyderco Delica4 Partially Serrated Folding Knife | BUDK.com - Knives & Swords At The Lowest Prices! 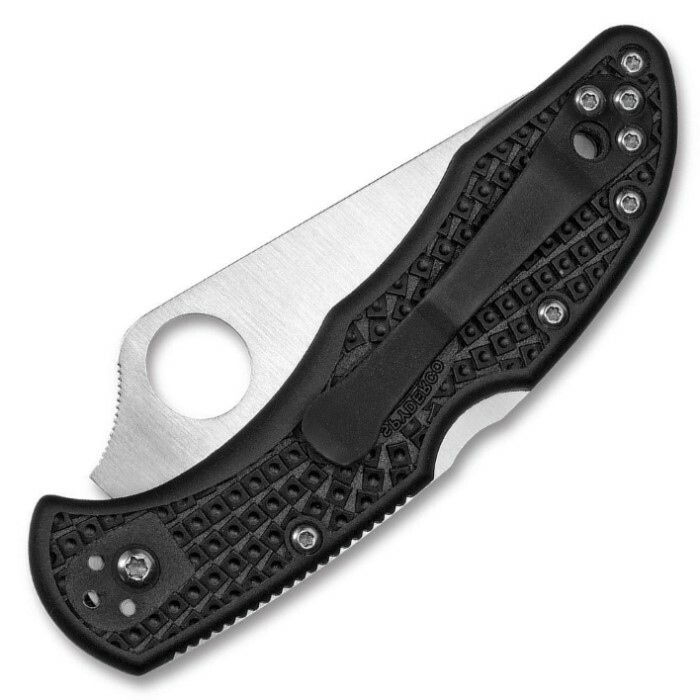 Measures 7 1/10" overall in length; Blade measures 2 9/10"
Another top seller in Spyderco's line-up, the Delica is better than ever! The Delica4 now features screw construction, which makes cleaning and adjusting easier. The flat saber-ground VG-10 stainless steel blade features Spyderco's standard Round Hole, partial serrations and jimping on the blade spine. The handle is constructed of black Fiberglass reinforced nylon handles with Bi-Directional Texturing for a firm, secure grip. The stainless steel liner is skeletonized for a lightweight, yet strong knife. Combine the phosphor bronze washers and the black-coated four-way pocket clip, this knife is a one-hand opening knife with quality materials and design, at a price anyone can afford!